At this point, many aviation safety managers’ collars start to feel a little tight around the neck. The first thing is: relax.There will be many more audits to come, and if you don’t perform well, you will at least receive valuable feedback. Beyond that, in our experience, safety managers who routinely perform extremely well on safety audits spend much time preparing for audits in very specific ways. Having document reports ready and presentable. Some of the below points will necessarily require some preparation well ahead of time, but many are things that safety managers can do with little-advanced notice and some hard work. In an ideal world, you have been meticulously documenting all aspects of your safety program from the beginning. Of course, one of the great thing about audits is that they give aviation SMS programs impetus to do some “house cleaning” and make sure documentation is fully up to date with current practices. Safety managers who routinely perform well on audits make sure to take the time to thoroughly organize documentation into one convenient location and make sure it is fully up to date with current practices. Considering that aviation SMS is a bureaucratic process of risk management, documentation is of critical importance. It’s also no surprise one of the most common findings during aviation safety audits is that documentation and actual risk management processes are not in sync. Before audits, successful safety managers ensure that documentation and reality reflect each other as closely as possible. To make sure that they have up to date documentation of SMS training that complies with the civil aviation authority. Having a well-organized system of documentation ahead of time greatly expedites this process. For organizations whose documentation is disorganized, performing reviews and updates can greatly hinder their ability to score well on safety audits. In addition to making sure all documentation is updated and organized, safety managers who perform well on safety audits make sure to follow up by having their documentation in presentable form, such as a report. 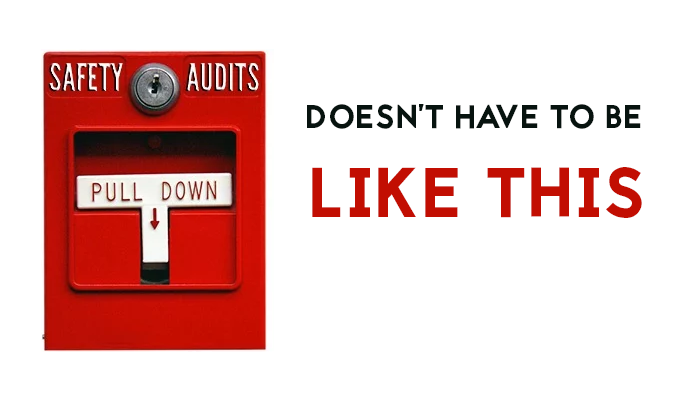 Should auditors ask for something they do not have, such safety managers are open and frank about what they have or don’t have – they don’t make excuses – as SMS audits have become regular affairs. The reason successful safety managers go through such pains to prepare this information is that it is impressive to auditors, and it makes their jobs much easier. Moreover, having reports ready and organized is also an indication of how such managers to operate in their safety program, that they “have it together”, and that their SMS program is best-in-class. Professionally designed, aviation-hazard-tracking SMS databases are robust, organized systems that can handle a vast amount of data. Hazard registers can make or break an aviation SMS program – they are only as useful as the tools that safety managers design around them. In addition to making risk management that much more efficient, developing such sophisticated tools around a hazard register is a further demonstration and tangible evidence that gives auditors the impression that the manager’s risk management methods are robust and predictive. And let’s make no mistake, an auditors’ impression of your SMS program is very important. Moreover, any late or overdue items, such as overdue CPAs or issues, will not reflect well on the program. Safety managers who perform well on audits always make sure hazard safety items are current. Safety managers who perform well on audits take time to understand current SMS requirements from both ICAO and their respective civil aviation authority in regards safety duties and responsibilities. Ideally, initial SMS training would be designed around these standards in clear, documentable ways. Regardless, before important safety audits safety managers will make sure to re-apprise employees of their specific duties and responsibilities as covered in their role in the organization’s policies and procedures, and inform them of the upcoming audit. Chances are that the auditor may talk with employees, and if they don’t know how to inform the auditor of their specific role in the SMS program, it will not reflect well on the program. Safety managers who perform well on audits know this and make sure employees are ready. For passengers, this type of situation is frustrating at best, and at worst unnerving, even scary. Yet even when sitting on the tarmac, frustrated and confused, passengers should take comfort in the fact that the aviation industry takes countless precautions to keep passengers safe. The fact is that above all else, our top priority is safety and safety managers have an excellent opportunity to not only contribute to safety, and SMS requirements, but also to the financial bottom line. is the tarmac clear of tools/vehicles? Unfortunately, hazards will always be as a cancerous appendage to the aviation industry. Fortunately, our industry has made remarkable strides in both drafting and optimizing safety standards within the past two decades. What Role Does Aviation Safety Software Play? In effect, safety management software allows the aviation industry to mature and take a more proactive and predictive – as opposed to reactive – approach to safety. Secondly, SMS software allows SMS activities to be performed in global-real-time: in other words, anybody, anywhere, can be aware of – and report – hazards as they happen. To see how software has impacted aviation safety, simply browse through the history of the Aviation Safety Network’s Database on Safety Occurrences. 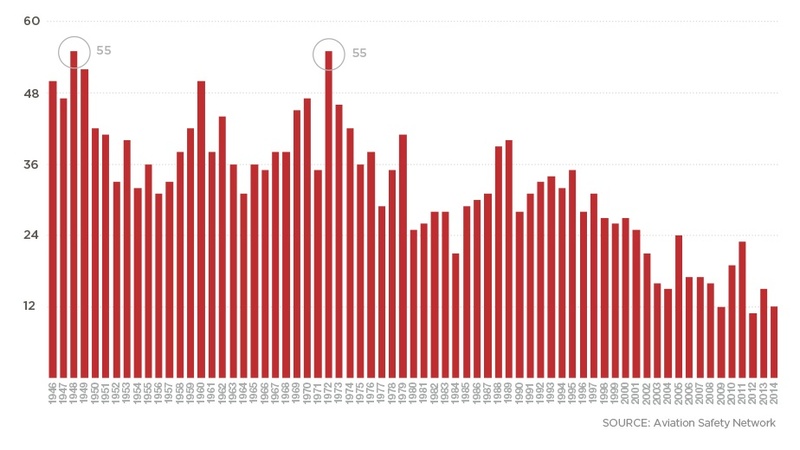 The trend is clearly looking good. 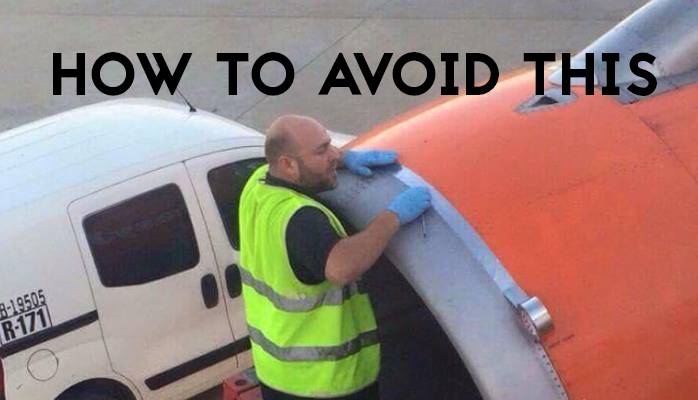 Clearly proactive, preventative risk management strategies are rapidly improving aviation safety. CNN would seem to agree. It is comforting to know that that as SMS software becomes more robust, more capable, and more integrated into the aviation industry, we can count on flights becoming safer as well. As safety standards change and SMS software grows more sophisticated, user-friendly and capable, we can expect that the aviation industry will continue to invest more capital in the best aviation safety management software. Hazards, risk and risk controls can be monitored in real time to reduce risk to as low as reasonably possible. Risk is reduced not only by safety risk management (SRM) and safety assurance (SA) processes, but by SMS software that has risk management capabilities. Ultimately, the aviation industry’s level of success depends on its ability to keep passengers safe – and ensure that they feel safe as well. Take Malaysia Airlines for example. Two commercial crashes in 2014 have nearly put the company out of business in only a year. Why? Because passengers have lost faith in Malaysia Air’s safety standards. In the aviation industry, safety and success are interchangeable words. It’s that simple. We need to improve proactive hazard reporting and documenting all real hazards. minor incidents and close calls. The evolution of safety management software, and ultimately the safety of the aviation industry as a whole depends on stakeholders diligently reporting new/recurring hazards and anything that looks potentially unsafe. As an industry as a whole, we have the capability of accepting incredible amounts of data in the forms of safety reporting systems and auditing systems. What the aviation safety industry workflow has lacked is an efficient methodology or processes that is supported by aviation SMS software. Trend analysis is made incredibly easy now that aviation SMS software provides the ability to easily document, categorize and dispatch minor incidents using safety risk management (SRM) and safety assurance (SA) processes. Aviation SMS software should bring two traditionally separate systems, SRM and SA, and integrate them to allow continuous performance monitoring of the SMS. When SRM and SA systems can talk to each other, safety professionals and operational department heads can monitor the effectiveness of risk controls in real time. Let’s face it, at a fundamental level, an aircraft is a metal tube traveling five miles above the ground at around 500mph – a scary prospect at best. That being said, let’s continue to improve safety management strategies and the respective SMS software. Aviation safety software influences safety culture and the effectiveness of aviation SMS. Your SMS will never realize maximum return on investment and other intangible benefits without the ability to easily receive safety reports and treat them very quickly. Modern aviation safety software is powered by enterprise grade databases that can securely store and retrieve large amounts of data. SMS is a process that works if you have tools to reduce the SMS documentation requirements. The easiest way to deal with the SMS documentation requirements is to “not deal with them,” which is what many failing aviation SMS suffer from. have short term business requirements to not spend more than necessary on safety. If you are wanting to reduce your risk exposure by using aviation safety software to specifically address SMS requirements, we can help. Please watch these short demo videos to see whether we are a good fit for you. In aviation safety management, responsibility, confidentiality, and privacy are the triad that affect how you handle reported safety information. Whether your organization is large or small, your leadership team needs to discuss these factors and decide how to handle them. Your stance on the triad is consistent with your partners and clients needs. Here is what responsibility, transparency, and confidentiality are in aviation safety management, and how your organization should handle each one. What [you fill in the blank for identifying parties] were involved. Leadership drafting a formal confidentiality policy. Do you work with sensitive clients? Do you work with government? What personal information you are comfortable with including in safety reports. To structure your stance on confidentiality, you need to consider these factors. Transparency in aviation safety management is about how much safety information access employees have. Whereas confidentiality is concerned more with privacy and identifying information, transparency is how much of types of information specific roles in your company can see. How involved employees are in change management. Large with numerous safety roles and responsibilities. It’s a very good idea to have a commitment to transparency, be that a commitment to being open and available with information or being committed to keeping reported information secure and private. Who is managing safety information? Inconsistent safety information, such as different spreadsheets with different information. Employees are reporting safety concerns. Invest in an SMS point solution or aviation safety management software to ensure that safety information is reliable. In short, invest in the resources (tools, documentation) and ensure that safety information is handled well. The Safety Policy pillar in an SMS defines roles, responsibilities, and relationships outlined in organizational policies and procedures. 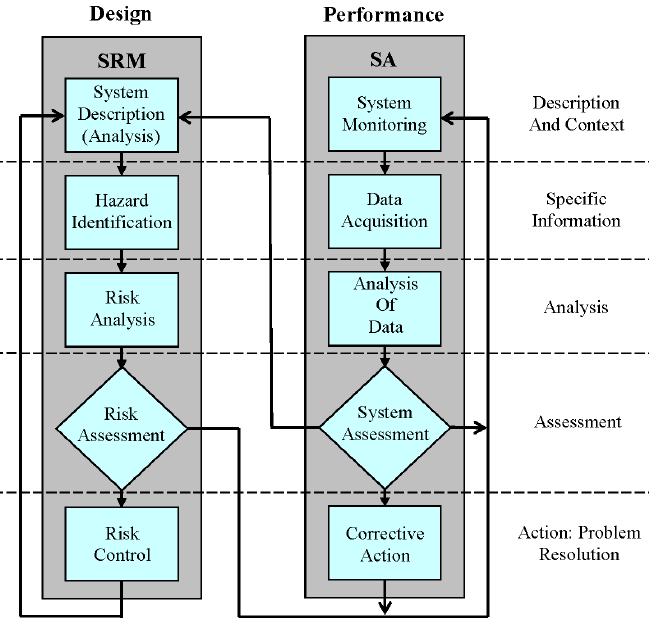 Aviation safety and risk management systems must define policies, procedures, and organizational structures to accomplish goals that ensure continued safety. Relationships outlined in policies and procedures. Policies must be translated into procedures. Furthermore, organizational controls must be implemented ensuring these policies are practiced and enforced. In short, aviation service providers develop, document, and maintain procedures to carry out safety policies and objectives. SMS Pro has very good Web-based tools to help organizations construct, document and communicate these requirements. The Safety Policy element also requires organizations to ensure that employees understand their roles with the SMS program. SMS Pro has an SMS Induction Manager module that assists managers to document and communicate these requirements. These following resources have been selected because they help safety managers organize and document SMS requirements relating to the Safety Policy pillar. 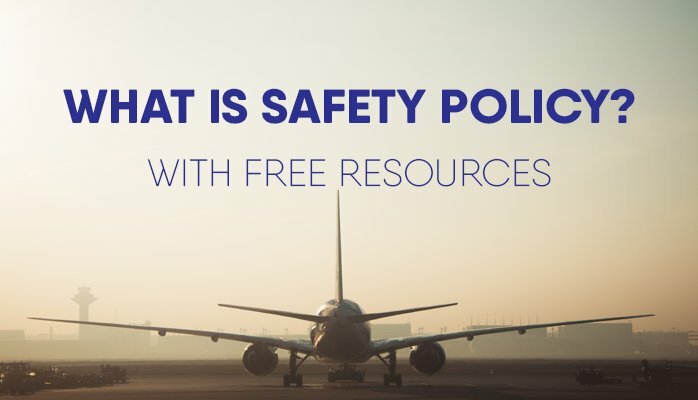 All of these resources are free, and they include both educational resources and other tools, such as checklists, templates, and assessments for Safety Policy. Do you know basic facts about KPIs/SPIs? This pop quiz features 4 questions that cover basic knowledge of key performance indicators (also known as KPIs or SPIs). At the end of the quiz you will get an explanation of each question, including links to relevant KPI resources. This quiz and its resources are FREE – you don’t need to give any personal information. Ready to test your knowledge?